Just how much more success can you stand ? If I taught you for example, the skills that Politicians and high ranking officers know about Influence and Persuasion, would that make you feel 1000 % more empowered. And more comfortable in your own skin, when you were taking on new business. How much more would this help you find your own true voice and communicate elegantly, and stand up for yourself against tricky communicators that know how to trip you up with your own words and out negotiate you. 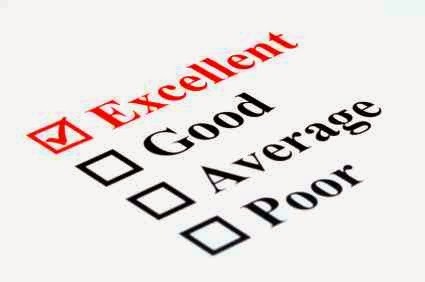 If you are like me you operate from a place or integrity offering a wonderfully valuable service for a great exchange. When you understand your own high value you create a win /win proposition. And What if (for example) you became really good at making more sales and influencing more people, would that cause a problem ? And what if as a result of it, your money and your lifestyle improved Dramatically, would that be ok ? What if because of it,you found the confidence to ask for what you really wanted, and you stopped selling yourself short and giving the farm away. What if you found out that your services, were valuable and important. And you remembered how much time and effort you had spent on developing your expertise and just needed to know how to share it with other people, and get a fair exchange for your extraordinary Talent. And what if, you knew about Sales, and because you had some good days, and some bad days found out how you could create a system, that resulted in all good selling days no matter what. What if this was a whole lot more simple than you thought after taking this knowledge packed Sales Training when you invest in the proper tools to do the job efficiently. Truthfully, there is not a shortage of Sales or Buyers, but their may be a shortage of the appropriate knowledge and even the best knowledge activation. Remember timing is everything, you cannot become an extraordinarily influential communicator by just reading a book (if that were the case I would just email you my 40 page manual) and wish you luck. Curious ... 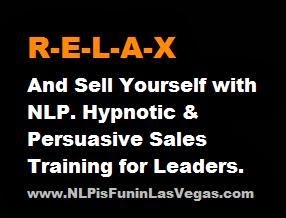 Learn more about using NLP in Sales and start having more success in your selling, influencing and Coaching than you can imagine. This is a Live Training and you will be thrilled you learned how to integrate these real NLP Sales techniques into your Sales Process. If you enjoyed reading this Empowering NLP Blog post, you will love to look though more than 200 NLP Articles on NLP is Fun. Thank you for reading, speak to you soon.